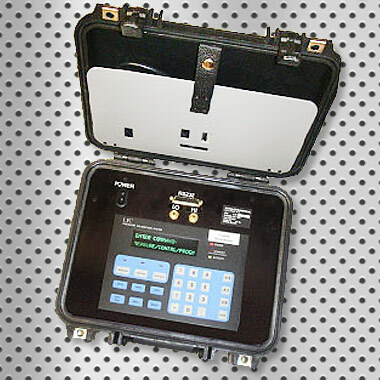 This Portable Low Pressure Calibrator (LPCi) is a unique and rugged instrument for calibrating all your pressure sensors in the field. The Portable LPCi is housed in a rugged Pelican Case®, for true in-situ fieldwork, and will withstand stress events. The uniqueness about the LPCi is that there it contains a microprocessor-controlled motor. The motor is more quiet, and smoother. From this motor, there is improved reading and stability. Better than ±0.002 inches of water. Because of the intelligent Auto-Zero function, there is virtually no drift over time. The lid divider offers a place to store items, and fits the RS232 Communications cable, AC Line cord cable, and tubing, as well as any paperwork. Battery life is approximately 8 hours with rechargeable Li batteries. The Portable LPCi is upgradeable to existing LPC customers. 13-3/8″ x 11-5/8″ x 6″ (34 cm x 29.5 cm x 15.2 cm). 10 Lbs.